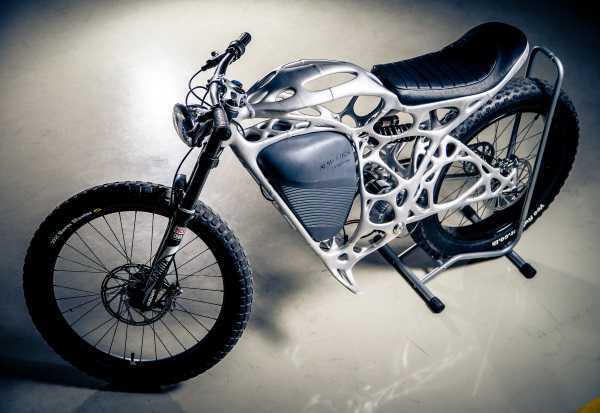 Airliner manufacturer Airbus is spreading their environmentally friendly wings with the Light Rider, the world’s first 3D-printed electric motorcycle. The Light Rider comes to us – or will, once it’s in regular production – from APWorks, a subsidiary of European airplane manufacturer Airbus. Designing and producing jet airliners takes plenty of high-tech mojo and with the Light Rider, Airbus draws upon decades of engineering and sustainable-design experience. The advent of 3D-printing technologies is part of a still-unfolding revolution in industrial design and manufacturing processes. Though the focus has always been on structure and aesthetics, the application of 3D-printing provides impressive weight savings on parts and equipment compared to those made using conventional manufacturing techniques. 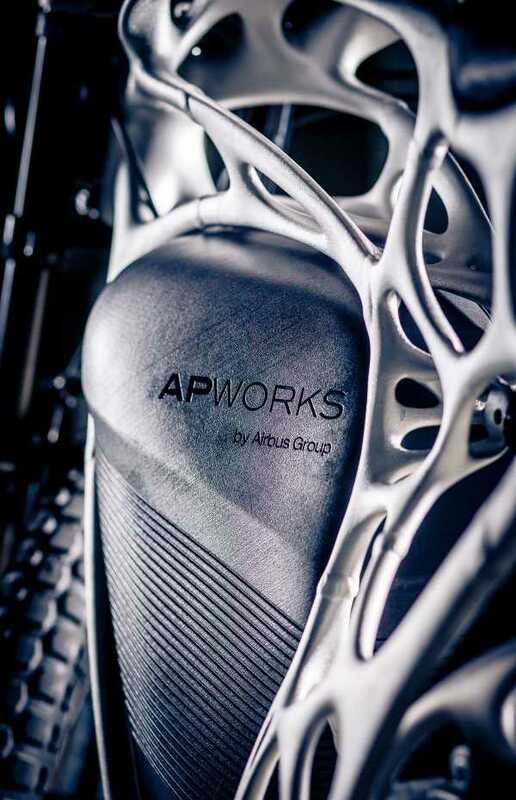 APWorks employed an algorithm to develop the Light Rider’s structure that is optimized to keep weight at a minimum while ensuring the motorcycle’s frame was strong enough to handle all foreseeable real-world loads and stresses. 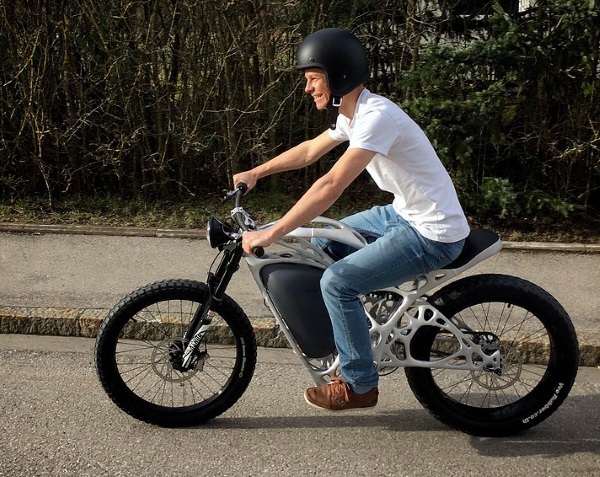 Equipped with a 6kW electric engine housed within a frame weighing only 6kg, the 35kg Light Rider can accelerate from 0 to 50mph in mere seconds.